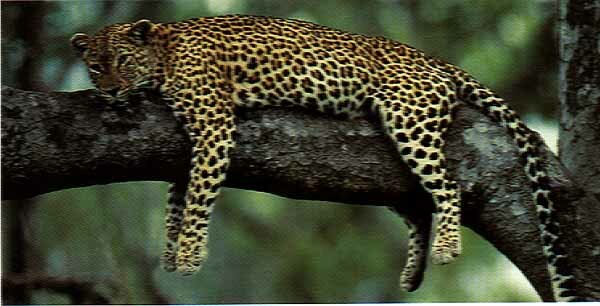 Maasai Mara is Kenya's best game park, with the possibility of seeing all the big five and many other species of game. This is where the great wildebeest migration is a world spectacle. Lake Nakuru is world famous as the feeding grounds of both lesser and greater flamingos and also a sanctuary for both black and white rhino. Affordable and cheap 5 Days Nakuru Masai Mara camping safari and Kenya wildlife camping safaris Kenya budget trips. Depart Nairobi in the morning and drive to the Great Rift Valley with scenic landscape viewing en route arriving to the Pink Lake often referred so due to it�s Great masses of Flamingos. After lunch proceed for game drive in the Park with numerous animals. Lake Nakuru is world famous as the feeding grounds of both lesser and greater flamingos which can be distinguished by size and color. Besides that, more than 400 species of birds can be seen in the park. Between the lake and the cliffs in the west, large pythons inhabit the dense woodland, and can often be seen crossing the roads or dangling from trees. Dinner and overnight at campsite, L,D. .Morning game drive to watch and photograph Birds and wild animals. After breakfast depart to Maasai Mara, Arrive in time for lunch. Afternoon game drive is taken. Definition: The Maasai Mara's 320 square kilometers of open savannah, woodlands and tree-lined rivers create an eco-system which supports huge numbers of bird and mammal species. The western border of the park is the spectacular Siria Escarpment, and together with the acacia dotted plains, creates scenery of stunning beauty. Lions are found in abundance throughout the park, as are elephant, giraffe, a variety of gazelle species and zebra. Cheetah and leopard are also regularly seen and if lucky, you may also get to see rhinos. This safari consists of quality accommodation and a superb opportunity for experiencing an adventurous journey across the heart of Kenya and viewing the game animals and in some cases all of the 'big five' It truly promises to be an exciting and unforgettable experience. Dinner and overnight at campsite, B,L,D. Full day in Maasai Mara with morning and afternoon game drives. Optional visit to a local Maasai village at $25 per person or hot air balloon ride at $425 available. Meals and overnight at campsite, B,L,D. Morning game drive then return to the campsite for breakfast. After breakfast, we drive back through the Masai town of Narok and stop for some souvenir shopping, before continuing across the plains to Nairobi where the safari ends, B. The park has recently been enlarged partly to provide the sanctuary for the black rhino. This undertaking has necessitated a fence - to keep out poachers rather than to restrict the movement of wildlife. The park now has more than 25 rhinos, one of the largest concentrations in the country, so the chances of spotting these survivors are good. There are also a number of Rothschild's giraffe, again translocated for safety from western Kenya beginning in 1977. Waterbuck are very common and both the Kenyan species are found here. Among the predators are lion and leopard, the latter being seen much more frequently in recent times. The park also has large sized pythons that inhabit the dense woodlands, and can often be seen crossing the roads or dangling from trees. Lake Nakuru, a small (it varies from 5 to 45 square kilometers) shallow alkaline lake on the southern edge of the town of Nakuru lies about 160 kilometers north of Nairobi. It can therefore be visited in a day tour from the capital or more likely as part of a circuit taking in the Masai Mara or Lake Baringo and east to Samburu. The lake is world famous as the location of the greatest bird spectacle on earth - myriads of fuchsia pink flamingos whose numbers are legion, often more than a million - or even two million. They feed on the abundant algae, which thrives in the warm waters. Scientists reckon that the flamingo population at Nakuru consumes about 250,000 kilos of algae per hectare of surface area per year. There are two types of flamingo species: the Lesser flamingo can be distinguished by its deep red carmine bill and pink plumage unlike the greater, which has a bill with a black tip. The Lesser flamingos are ones that are commonly pictured in documentaries mainly because they are large in number. The number of Flamingos has been decreasing recently, perhaps due to too much tourism, pollution resulting from industries waterworks nearby who dump waste into the waters or simply because of changes in water quality which makes the lake temporarily inhospitable. Usually, the lake recedes during the dry season and floods during the wet season. In recent years, there have been wide variations between the dry and wet seasons' water levels. It's suspected that this is caused by increasing watershed land conversion to intensive crop production and urbanization, both which reduce the capacity of soils to absorb water, recharge groundwaters and thus increase seasonal flooding. Pollution and drought destroy the flamingos' food, Cyanobacteria, or blue-green algae, and causing them to migrate to the nearby Lakes, more recently lakes Elmenteita, Simbi Nyaima and Bogoria. Local climate changes have also been hypothesized to contribute to the changing environmental conditions in the lakes catchment. Recent media reports indicate increasing concern among stakeholders, as mass flamingo migrations and deaths could spell doom to the tourism industry. The flamingos feed on algae, created from their droppings mixing in the warm alkaline waters, and plankton. But flamingo are not the only avian attraction, also present are two large fish eating birds, pelicans and cormorants. Despite the tepid and alkaline waters, a diminutive fish, Tilapia grahami has flourished after being introduced in the early 1960s. The lake is rich in other birdlife. There are over 400 resident species on the lake and in the surrounding park. Thousands of both little grebes and white winged black terns are frequently seen as are stilts, avocets, ducks, and in the European winter the migrant waders. 5 Days Nakuru Masai Mara camping safari, Kenya camping safaris, kenya budget camping safaris, Lake Nakuru camping safari, Maasai Mara camping, Kenya wildlife camping tour. The Masai Mara (aka Maasai Mara) is a large park reserve in south-western Kenya, which is effectively the northern continuation of the Serengeti National Park game reserve in Tanzania. Named for the Maasai people (the traditional inhabitants of the area) and the Mara River which divides it, it is famous for its exceptional population of game and the annual migration of the wildebeest every July and August, a migration so immense it is called the Great Migration. With an area of 1510 km� the Masai Mara is not the largest game park in Kenya, but it is probably the most famous. The entire area of the park is nestled within the enormous Great Rift Valley that extends from the Mediterranean Sea to South Africa. The terrain of the reserve is primarily open grassland, with clusters of the distinctive acacia tree in the south-east region. The western border is the Esoit Oloololo Escarpment of the Rift Valley, and wildlife tends to be most concentrated here, as the swampy ground means that access to water is always good and tourist disruption is minimal. The easternmost border is 224 km from Nairobi, and hence it is the eastern regions which are most visited by tourists. 5 Days Nakuru Masai Mara camping safari, Kenya camping safaris, kenya budget camping safaris, Lake Nakuru camping safari, Maasai Mara camping, Kenya wildlife camping tour. Check on us for 5 Days Lake Nakuru Masai Mara camping safari, Kenya camping safaris, Kenya budget camping safaris, Lake Nakuru camping safari, Maasai Mara camping, Masai Mara group tours, Lake Nakuru group safari, animal and wildlife migration tours & cheap packages in Kenya. For all your 5 Days Nakuru Masai Mara camping safari - 5 Days Nakuru Masai Mara camping safari, Kenya camping safaris, Kenya budget trips, Kenya budget camping safaris, Lake Nakuru camping safari, Maasai Mara camping, Kenya wildlife camping tour.